There are diverse app marketing services provided by a wide range of app marketing agencies but it is critical that you have a knowledge of the ideal marketing services that will work best for your needs . App store optimization is one of the best app marketing services you can benefit from, and it works best for your app when your organic ranking within app store is high. App store optimization helps potential app users locate you easily. You can’t expect Apple to naturally bring traffic to your apps, you need to market them through a reputable app marketing agency . 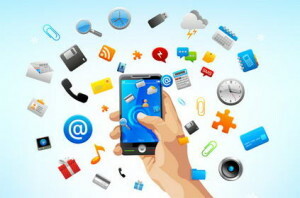 Your agency can help you create the right app name and keyword, create a fascinating icon that will be coherent with your app design, select the most explicit screenshots including text captions for the app, write the most captivating app description for it, and help you improve your app rating. Mobile advertising is one of the fastest and cheapest app marketing services you can find, your app marketing agency should provide some viral sharing and mass awareness campaign around your app, in such a way that you can leverage more on all mobile platforms and increase your rankings and revenue. Mobile app advertising should go with your PC platform advertising to leverage more effectively across all platforms- remember some people don’t like to search for apps on their mobile phones, they prefer the larger screens. Pitching your app perfectly could be the secret to the success of your app. Pitching starts will engaging potential users through emails and some other forms of communication. You need to create the right pitch by including some key elements in the emails you send to your target audience. Your email pitch must include the real name of your app as it is included in the App store, the uniqueness of your app, your app price, some of your best screenshots, some demo video, and all your contact info. The best possible way to handle all these features is to allow a competent app marketing agency do it for you at reasonable prices. This is one part most apps developers forget in app marketing, and the reason is that they are only interested in selling only the apps. If you encounter some inspirational instances while developing your app, then you should let others be aware of the story. Telling the story of your app, will add some visibility to it and that can bring you more returns on your investment. App marketing videos can be the best tool for app marketing, and can best be created by excellent app marketing agencies. A video demo of your app provides visual appeal especially for those who don’t rely on reading texts for information on apps. A demo video that is short and precise has more integrity than your website but it will be ideal to incorporate such a vital content into your marketing strategies for increased visibility.